During the few short months that we experience winter weather in the coastal South, many homeowners find themselves in the predicament of balancing indoor comfort with potentially enormous power bills. The causes are many, but with an underlying theme: the house is not sufficiently sealed, and the heating unit is working overtime to replace the warmth that is continuously leaking into the outdoors. While we are aware of the quick fixes to a leaky home – weatherstripping the drafty window or adding insulation to the attic – there is a more comprehensive approach to take that produces exponentially better results for lower heating costs. For an expert’s guidance, I spoke with Josh Cavanagh of CharlestonWISE, the home performance assessment and general contracting partner of The Sustainability Institute. His advice is well-rounded: focus on the whole house, and balance the system. 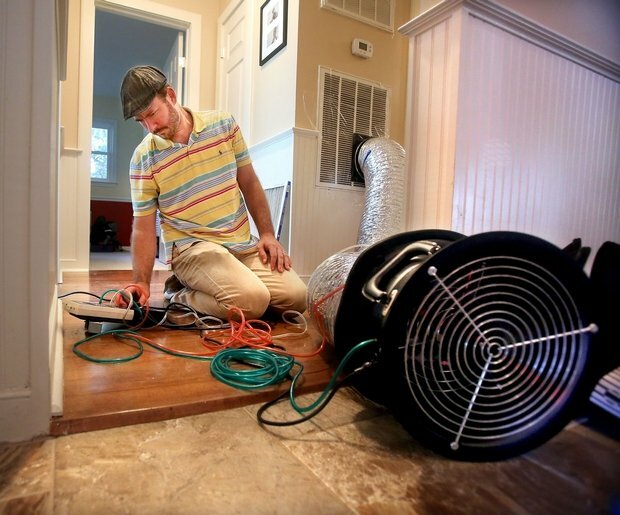 The obvious culprits in a leaky home involve air sealing, insulation, and ductwork. Which of these issues are affecting your home’s efficiency, and their exact weak points, are the target of the home performance assessment. A common cause of ineffective air heating occurs when the conditioned indoor air is leaking into the outdoors at an exceptionally high rate. Some homes are more thoroughly sealed than others – an efficient rate of a full-house air exchange is about eight times a day. If your home is experiencing a full air exchange every couple of hours or even the extreme of every several minutes(! ), then your heating unit is constantly struggling to keep up with the heat loss. 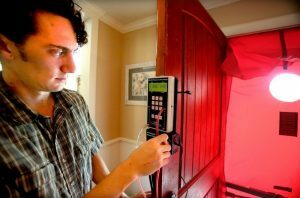 The home energy audit locates exactly where heat escape is occurring – through various cracks and crevices, and often around doors and windows – so the gaps can be sealed with caulking, weatherstripping, or spray foam. Once the points of air escape are sealed, conditioned air stays inside the home for longer, permitting the heating unit to take a rest. The warm air inside your home naturally loses heat energy to the outside, even when the home is nicely sealed against air leaks. Some materials conduct that heat more readily – such as wood and metal – while others insulate against heat loss – such as, well, insulation. The most accessible insulation is in the attic, where a great deal of heat loss can occur, and there is also typically insulation within exterior walls. A room with insufficient insulation will typically suffer from temperatures inconsistent with the rest of the house – like that one bedroom that’s always too hot or too cold. Heating and air units will run long enough to please the thermostat, unaware that some rooms are drastically warmer or cooler than others. The energy audit can uncover the parts of the home that need additional insulation to remedy these issues and lower heating costs. The conditioned air from the heating unit is delivered throughout the home via ducts, which can suffer from a number of problems. Often they were not installed correctly during the home’s construction, or have simply degraded over time. There may be cracks in the ductwork, improper or unsealed duct connections, missing or insufficient duct insulation, or even open ducts spewing conditioned air into the crawlspace or attic. 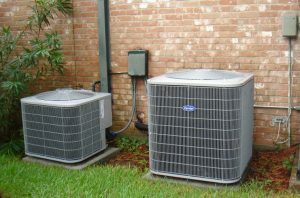 Why is it best to perform energy retrofits in conjunction with replacing a heating and air conditioning system? When the unit is being replaced, it needs to be sized right – too small and it’s overworked and runs too much; too large and it cycles too often, not running long enough – both situations are a huge defeat to what would otherwise be a very efficient new system. Think Goldilocks and the Three Bears HVAC Units – bigger is not always better, and smaller is not always more efficient. “Any time you are replacing heating and air equipment, you should be getting a load calculation to figure out exactly what size you need,” Josh explains. “And if you are making any big changes – such as new insulation or replacing windows – that changes the dynamics of your house, and then you may not need as large of equipment.” Ask CharlestonWISE to add these load calculations into the assessment process so that you can know for certain the proper HVAC unit size for your home. As is often the case, the normal rules don’t always apply in The Holy City. Homes in Charleston have been constructed across the span of three centuries, with architecture that has evolved along with technological advancements and market demands. 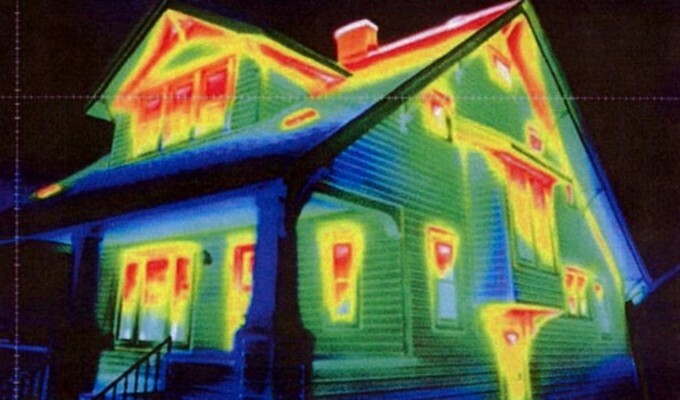 The climate also must be considered when retrofitting a home for efficiency, as well as unique features in individual homes. 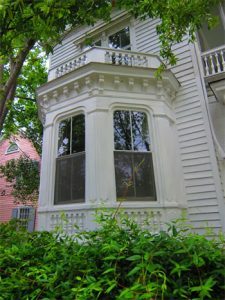 Historic homes built before the advent of central heating and air conditioning provide a distinct problem when addressing efficiency – that is, they were designed to be drafty. Without forced air conditioning, a home relied on natural ventilation to move air into and out of the house for a natural cooling effect (heating was obviously less of a challenge than cooling). 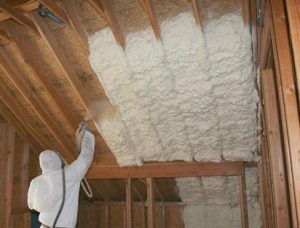 The potential energy efficiency in these homes is certainly less than that of a more modern home, but the process is the same to lower heating costs: identifying crevices that can be sealed, adding insulation where there often is none, and installing an appropriately sized HVAC system along with properly routed ductwork. Our very warm summers and higher humidity levels also require distinct accommodations that would be inappropriate in other regions. Cooling systems are clearly used more often than heating systems in the coastal south, and addressing the treatment of indoor humidity requires a proper assessment. “In our climate zone with humidity being such an issue, oversizing can be a big problem,” Josh reminds me. “The sizing of the equipment is important to dehumidify properly and not short cycle.” It all circles back to balancing the system. The comprehensive approach taken by Josh and his team at CharlestonWISE makes perfect sense. While we can make a weekend DIY project of shoring up minor problems in our homes to lower heating costs, the science of the whole house approach is doing it the right way from the start. It begins with a home performance assessment that is customized for every home, and the solutions that emerge make for a more comfortable, healthy, energy efficient home whose retrofit will ultimately pay for itself.